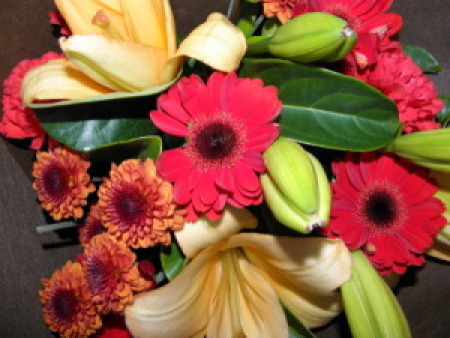 Amaranthine Flowers By Design offers you this stunning Rustic Bouquet in red, orange and green, with long lasting lilies, gerberas and chrysanthemum, finished in gift wrap. This gorgeous bouquet will add a special touch to any room and make a fabulous gift to friends, family or business to business. Perfect for Birthdays, Anniversary or any occassion at Amaranthine Flowers By Design, Charlestown Square, your florist in Newcastle.